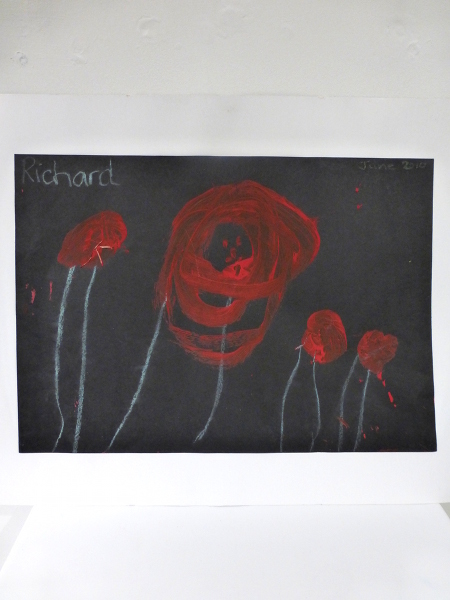 Richard was 3 and a half years old when he painted this with chalk in June 2010. It was done in the field by Burnsall Church in front of the poppies. It was done for Mum and Dad. Paint and chalk.